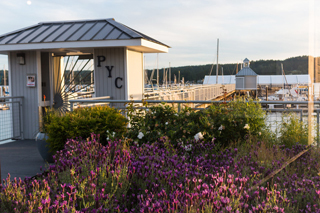 Members of the Poulsbo Yacht Club have many opportunities to enjoy our unique and beautiful surroundings on the water, socializing and forming friendships with other PYC members as well as members of surrounding yacht clubs. 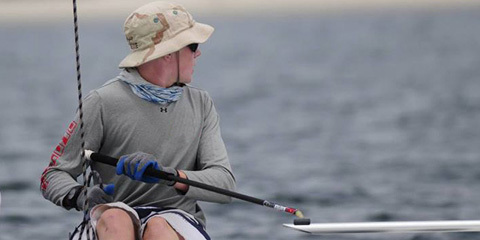 Our "on the water" activities include Cruising, Sail Racing, Sail Regatta and the annual Lighted Boat Parade in December. 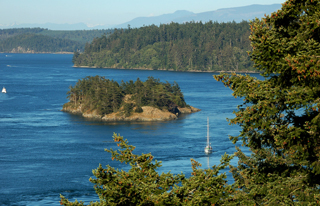 The Poulsbo Yacht Club organizes fun and exciting cruises throughout Puget Sound to locations such as Gig Harbor, Seattle, Port Ludlow and Edmonds. The cruise schedule runs from September through May each year. For more information about upcoming cruises, members should login and contact Diane Dixson (Fleet Captain) or the cruise's designated host(s). Each December for more than 47 years, the Poulsbo Yacht Club has participated in the PYC Lighted Ships Parade, an event that has become a holiday tradition enjoyed by the entire community. PYC boat owners decorate their boats in holiday lights and cruise with Santa Claus along Liberty Bay to Keyport, Manzanita Bay, up the west side of Bainbridge Island through Agate Pass to the Suquamish dock, and return along the west side of Agate Pass to Point Bolin, north to Lemolo and the east side of Liberty Bay before returning to the clubhouse for holiday fun and socializing. Up-to-date information on the next PYC Lighted Ship Parade will appear on this page as December approaches.